Work is too important to us (it is an idol that rules us) – in the long run this leads to symptoms like anxiety, overwork, neglect of other areas of our lives, pride and exhaustion. 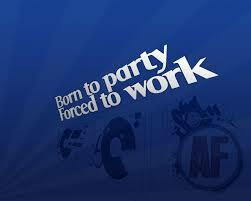 Work is not important to us (it is a necessary evil to endure) – in the long run this leads to symptoms like boredom, laziness, a begrudging attitude, envy, moaning and grumbling. In this post I outline my sermon from Sunday and also give some discussion questions if you want to go deeper in City Groups. Do watch this brilliant video from Tim Keller and his book Every Good Endeavour is required reading for anyone serious about faith and work (I quote from him liberally below, often without reference). By the way, when I say “work”, I am talking about paid work and unpaid work, work in the home and work in the office and I am also talking about work at university and school (i.e studies). The result can simply be exhaustion and discouragement. Exhaustion because too much is being attempted, discouragement….because there is a sneaking suspicion that the thing we spend thirty, forty, fifty hours a week doing is of no intrinsic value to God”. So let’s look at the subject of faith and work under 2 headings. Let’s piece together the 4 parts of the biblical story. 1. Creation: Work is Good. In the beginning God worked. God got his hands dirty. He brought order out of chaos and beauty out of darkness. He took what was formless and filled it and made it wonderful. And at the end of each day of work he said “it was good.” He enjoyed his work. He got satisfaction out of his work. And what we’ll see is this continues throughout the rest of the Bible…God is always working, getting his hands dirty. In creation God is a gardener. In Jesus God comes not as a philosopher or army general but as a carpenter. In the resurrection God comes back and starts helping his disciples to fish. In the consummation, at the end of time, God is cleaning up after a great battle and building a magnificent city. This gives our work so much dignity. If you look at all other ancient world-views and religions and how they saw work, it never had this kind of dignity and status. Only the Jewish and Hebrew thought was so positive about work. Work is a vocation. Work is a calling. Work is a task given us by God himself. Work is not a necessary evil or an afterthought. The garden was perfect, there was nothing wrong with it, it was paradise…and yet God calls us to work. We are to bring order out of chaos, beauty into the blackness and fill what is empty. After Adam and Eve sin, God says: “Cursed is the ground because of you; through painful toil you will eat food from it all the days of your life…By the sweat of your brow you will eat your food until you return to the ground…” What was once liberating has become toil. What was once enjoyable and satisfying is very often futile. What brought rest to our lives now often brings exhaustion. Subduing, ordering, filling and beautifying our world is now not an easy task. Work is broken and twisted and this manifests itself in 4 main ways. Unemployment – This wasn’t God’s intention. Some people choose not to work to do other things, and that is fine. But others want work and can’t get it and that is not what God wants. When you are unemployed you start with a sense of anxiety about the future and about money and how you’re going to survive. But it often leads to a place of boredom, despair, loneliness, isolation and depression. When I helped on a job seekers course a few years ago, the biggest challenge for people was morale. They doubted themselves and their ability. They felt worthless. They had lost hope. They felt rejected. They couldn’t see a way out. Work is such an important part of what it means to made in the image of God, to be out of work is to experience one of the greatest curses of living in a fallen world. Read on for more details. Boredom. Work is pointless and doesn’t bring joy. The book of Ecclesiastes talks a lot of about this. Anxiety. Work is full of pressure and you often feel like a failure. If the point of work is to serve and exalt ourselves, then our work inevitably becomes less about the work and more about us. Our aggressiveness will eventually become abuse, our drive will become burnout, and our self-sufficiency will become self-loathing. But if the purpose of work is to serve and exalt something beyond ourselves, then we actually have a better reason to deploy our talent, ambition, and entrepreneurial vigour- and we are more likely to be successful in the long run, even by the world’s definition. When God comes to restore our world he comes in physical form, as a carpenter, to restore our physical universe. He did not come to save our souls out of this universe; he came to save our souls and body FOR this universe. He wants to give us the foundation and motivation, the power and identity, with which to bring redemption to our workplaces. He wants us to be so secure and confident in him, to have all our identity and status in him and his provision, that we don’t look at work purely for money and status, but look at work as a way to serve him and bring justice, peace, beauty, healing and goodness to world. We’re to make society as good as it can be. We are to once again see work as a calling, as a vocation, as a way to image our creator and bring his creative power into the world. We won’t need doctors, because there will be no sickness. But we’ll still work and work will be satisfying and good. It will bring joy to us, joy to our creator and joy to one another. We’ll make more magnificent civilisations and cities and buildings than anything this world could ever dream of. We’ll compose better music, create better artwork, play better sport, develop better high tech businesses and eat better food than anything this world has to offer. There are 3 things that we need to learn to help us find the ‘redemptive edge’ to our work. They all come under the heading of seeing work as a calling. This is the main trust in the passage from Colossians. God is our boss. God is our only audience. So even when our boss is not there, we don’t cut corners and see what we can get away with, we do it for him. We’re not trying to impress our boss, we’re trying to impress God. Mark Greene tells a story of a minister who asked a young girl, who served as a domestic in one of his families what evidence she could give of having become a Christian, and she meekly answered, “I now sweep under the mats.” Her motivation had changed, she was serving Jesus, she was living in the presence of God. Work is a calling. Work is a vocation. Work is for God and that brings an integrity and sincerity to your work. Keller picks up on Psalms 145-147 where it talks about how God is loving towards all he has made and how he cares and provides for, protects and satisfies his creation. He feeds every living thing. He loves every living thing. People have often asked how God provides for his creation and the answer is through you and me. God chooses to love his creation through you and me. We’re still God’s ambassadors on earth. The baker, the farmer, the mother, the milk-maid, are all God in disguise – God with masks on. God is loving, providing, caring and feeding you through them. When you marry and bear children, it’s a calling of God, it’s God in disguise. It’s God’s way of creating and distributing his gifts. When the farmer farms and the baker bakes, it’s God in disguise, it’s God’s way of feeding you. When you set up high-tech businesses in Dublin to make software and help people bring order and efficiency to our world and you provide jobs and money for people, it’s God in disguise. It’s God’s way of providing for you. Paul says, “Whatever you do work at it with all your heart.” If you’re raising children, do it to the best of your abilities. If you’re studying, do it to the best of your ability. If you’re stacking shelves, do it to the best of your ability. If you’re arranging financial transactions, helping people find careers, caring for people in hospitals, selling software, building software, playing rugby, teaching kids…whatever it is, do it to the best of your ability. Work at it with all your heart. Why? Because this is worship to God and loving to others. But there is another reason. Even if you’re doing a job you don’t like or you find it too menial or too hard or too boring (or whatever! ), if you (a) see that job as a calling to serve God and love others and (b) do it to the best of your ability, you’ll have greater joy in that job. You’ll be able to give thanks for that job. It will make the ‘non-ideal job’ manageable and doable – maybe even enjoyable at times – until a more ideal job that suits your talents, gifting, experience and qualifications comes along. To work with excellence and to work in the service of God and others is to have the right attitude and will mean you moan less, cut corners less, grumble less and stop thinking that the grass is greener on the other side. That is what the book of Ecclesiastes says, which talks so much about the toil and futility of work – if you can learn to give thanks for it and do it with the right attitude, that is a gift from God and will help you find meaning in what is often a meaningless world. Even the simplest, most basic jobs which the world thinks are pathetic, have dignity and worth before God. He was not above the station of a gardener or a carpenter. He got his hands dirty, he worked with all his heart. He blessed others and it gave him personal satisfaction. Work with excellence. Work with gratitude. Work to serve others. Work to serve God. So let me finish by making four simple points of application to those who are unemployed. Please do read this earlier blog post from October 2012 about when I seeking work in Dublin myself. Stay Grateful – see how God is providing for you through the city and the live register. Gives thanks to God for the benefits you receive, the food you receive, the help you receive, all free of charge. Take the next step – take the necessary steps you can to seek work, whether through FAS or a back-to-work scheme or through starting at the bottom of the ladder in a more menial job and treating that as launching pad for something else in the future. Don’t pass over work because you’re above it. And sign up for a FAS community employment scheme or a course at Jobcare. Take Support – Whether from your family, friend or the church family. Speak to your City Group leaders. We can give you emotional and practical support. The church is called to be a family that looks out for one another. Read Matthew 6:25-33 a lot – learn to trust God as a father who will provide for you and remain committed to seeking first his kingdom. At lean times in our marriage, these verses have been very important to Leanne and myself. He is a good father who cares for you and he will give you everything you need. He may not give you everything you want but he’ll give you everything you need. Hold on to that promise. Is work too important for you or not important enough? Why? In your opinion, why is work robbed of ‘ministerial value’ in the church (see Mark Greene quote)? Does our church assume a hierarchy where those in church leadership are the most important and those with ‘normal jobs’ are less important? If so, how can we combat this? What is the biggest joy and greatest stress for you at work right now? Which bit of the biblical overview was new to your thinking? How does this inspire or motivate you in your work? 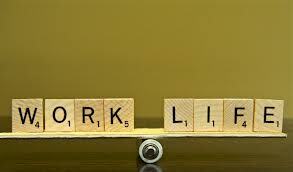 Which of the three applications with regards to seeing work as a calling is most challenging to you? Why? How can we help those in our church family who are unemployed? What unanswered questions do you have with regards to faith and work? Very interesting blog post. I think you are absolutely right that we need to restore the status of work in our churches. Work is a great opportunity to serve and help Christians and non-Christians alike. 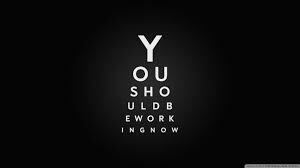 Done with the right attitude, all work, even seemingly menial, will be a blessing and a potential eye opener to other people.